To get more fun or cater for users’ taste, Apple usually introduce some interesting animoji to its devices. And now, Gucci just unveils its first custom animoji ‘Year of the Dog’ today. 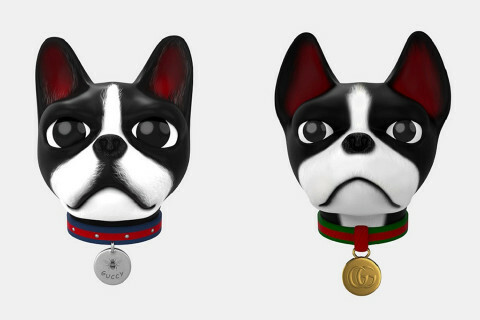 Gucci is the first brand to make custom animoji, and the ‘Year of the Dog’ is make specially for the Lunar New Year, it is inspired by artworks by Unskilled Worker, a Gucci collaborator; and the dogs are based on the Creative Director Alessandro Michele’s Boston terriers, Bosco and Orso. The new animoji will only only be available on the mobile app, but also contained in all the Gucci content like wallpapers, footage and a photo booth. The animoji is a part of Gucci’s capsule collection for the Year of the Dog in China, and one can download the Gucci app from Apple’s App Store.